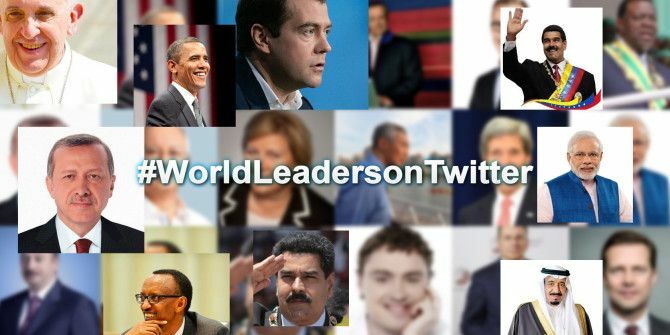 Most Influential Twitter List: Which World Leaders Made the Cut? The great thing about Twitter is following interesting accounts 6 Interesting Ways to Find New People on Twitter 6 Interesting Ways to Find New People on Twitter Twitter, by its very nature, provides an endless supply of interesting and engaging Twitter accounts just waiting to be discovered. Here's how to find them. 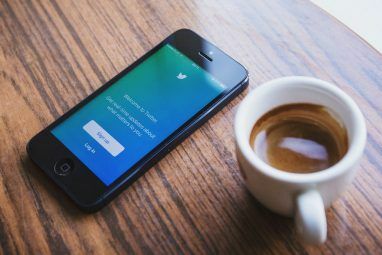 Read More of world leaders, political figures, sports heroes and other essential Twitter accounts 20 Essential Twitter Accounts You Need To Follow 20 Essential Twitter Accounts You Need To Follow Twitter is only as good as the people you follow. Literally. Thankfully, there are at least 20 essential Twitter accounts everybody should follow. Read on to find out what they are. Read More . A recently released report showed which world leaders had the most followers and the biggest impact with the 140 character social media tool. 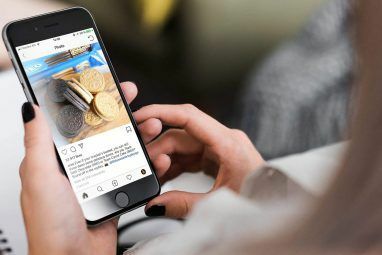 The annual Twiplomacy report released by PR firm Burson-Marsteller gave an analysis on “How World Leaders Connect on Twitter.” The report examined the most followed world leaders, most influential, most active and social media trends surrounding the A-listers. Some of their findings might surprise you. As of this publication, United States President Barack Obama (@BarackObama) rounds out the top as the most followed world leader. His impressive 58.9 million followers stands alone. The next closest world leader is Pope Francis (@Pontifex). He’s quickly gaining ground with close to 20 million followers, with all nine of his language accounts totalled together. Rising to third is Indian Prime Minister Narendra Modi (@narendramodi) with more than 12 million followers. His ascent to third in 2015 surpassed Turkish President Recep Erdogan (@RT_Erdogan), who still has an impressive 6.3 million followers and is currently in fourth place. Interestingly enough, the White House (@WhiteHouse) sits at fifth place with around 6 million followers. So, what do all these world leaders have in common? Well, world leaders don’t really follow anyone (with the exception of Obama who follows around 650-thousand people and has only 3 lists). 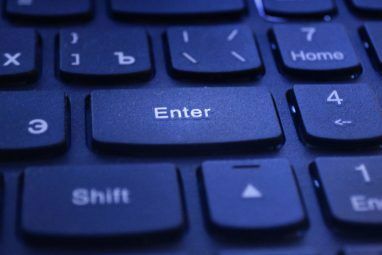 On the off-chance that they do follow other users, they largely follow other world leaders. Also, they don’t really converse with others. Their Twitter use is mainly for political and diplomatic reasons, though surely there are examples of the contrary. Most influential, most effective; what does this all mean? According to the study, these keywords are meant to mean “average number of retweets per tweet.” High retweets occur mostly when important political or world events happen surrounding world leaders. For example, Barack Obama’s “Four more years” tweet was retweeted around 750,000 times, which, just in case you were away, Never Miss A Great Tweet Again: Meet Twitter's 'While You Were Away' Feature Never Miss A Great Tweet Again: Meet Twitter's 'While You Were Away' Feature Twitter has been making some changes to draw new users. Several iOS users are now reporting seeing a feature that recaps important tweets you may have missed, called "While You Were Away". Read More is still one of the most popular tweets among world leaders in Twitter history. However, the most influential world leader is not Obama — despite his number one status as the most followed world leader. The most influential title goes to Pope Francis, “with 9,929 retweets for every tweet he sends on his Spanish account and 7,527 retweets on average on his English account.” He surely doesn’t need a lesson on how to manage his Twitter account(s) Tweetdeck Teams: How to Manage or Share a Twitter Account Tweetdeck Teams: How to Manage or Share a Twitter Account If you share a Twitter account with others, perhaps managing a brand or just running a cool creative handle, then Tweetdeck just got a whole lot better. Say hello to the new Tweetdeck Teams. Read More . Those numbers are high and far better than Obama’s retweet count, which stands at roughly 1,000 retweets for every tweet he sends. Obama didn’t even make it into second place. Saudi Arabia’s King Salman (@KingSalman), who has close to 3 million followers, comes in at second and averages more than 4,000 retweets for every tweet. Venezuela’s President (@NicolasMaduro) is third, with an average of 3,000 retweets per tweet. So, which world leaders spend their day’s tweeting the most? According to the report, the Venezuelan Presidency account (@PresidencialVen) has sent around 60,000 tweets at an average of 40 tweets per day. Venezuelan President Nicolás Maduro (@NicolasMaduro) has sent fewer tweets, but averages around 64 tweets per day. More so, Mexico’s Presidency account (@PresidenciaMX) has sent around 57,000 tweets at around 68 tweets per day. In what might be a surprising find, the report made clear that Spanish is the most tweeted language among world leaders. While English is certainly the “lingua franca of digital diplomacy,” world leaders on Twitter have sent more than 800,000 Spanish tweets compared to around 700,000 English tweets. French comes in at third with around 200,000 world leader tweets. What Do the World Leaders Say About Twitter? As Federica Mogherini said before, Twitter has become a “revolutionary social network.” As more and more world leaders use the social media tool, Twitter has become even more relied upon and important for communication and diplomacy. Most people who critisice twitter are often not on it. I love this place. Best source of info. Great way to stay tuned and communicate. What do you think about Twitter being used as a social media tool for world leaders? Does it help their cause? Do you follow any world leaders? Why? And who do you find as the most influential? Very misleading article. It is not the World Leaders that are doing the tweeting. All the leaders have hordes of flunkies doing nothing but tweeting all kinds of messages. I see what you mean, but that's not entirely true. While there are definitely people that tweet for leaders, some accounts will mention when a leader does tweet - maybe with initials or something similar. It would have been better if the study considered the Internet penetration rates of countries, the twitter adoption rate of countries, and population of the country these political leaders govern. Otherwise, it will be comparing apples to oranges. Indian or Chinese PM (with a billion plus population, each) can't be compared with, for example, Sweden, Norway, or Iceland. Highly connected country like South Korea can't be compared with a least connected country like, Eritrea, which has only 46 Internet subscribers out of its 5 million people. So, this study needs to be re-done again.